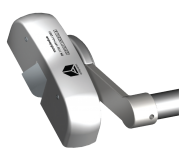 Complimenting the Lockmaster range of multi-point door locks, the Lockmaster panic door system from Yale offers the advantages of high performance security and compression, together with accredited emergency egress capability. Available for single and double doors. 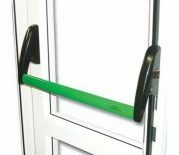 Conforming to European UNI EN 1125 standard and with top level CE marking Savio has revolutionised the market for traditional panic bars. 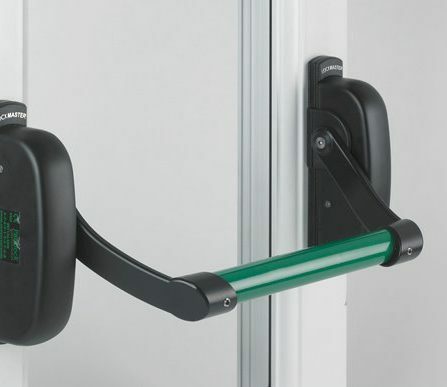 Ergonomic and attractive, bearing the exclusive PININFARINA signature, totally versatile application; non-handed and easy to mount for rapid installation. 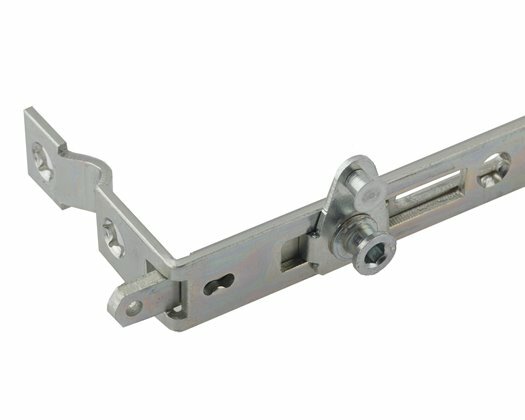 The Strand Hardware Antipanic Emergency Exit Hardware range is designed and engineered in Italy and assembled in the UK; providing the ultimate range of escape devices combining ease of operation, simplicity of fixing and aesthetic appearance.